Adjustable Piano Stool by Gear4music - a high quality, height adjustable piano stool which allows you to find exactly the right position to support your playing posture with any upright, grand or digital piano or keyboard. 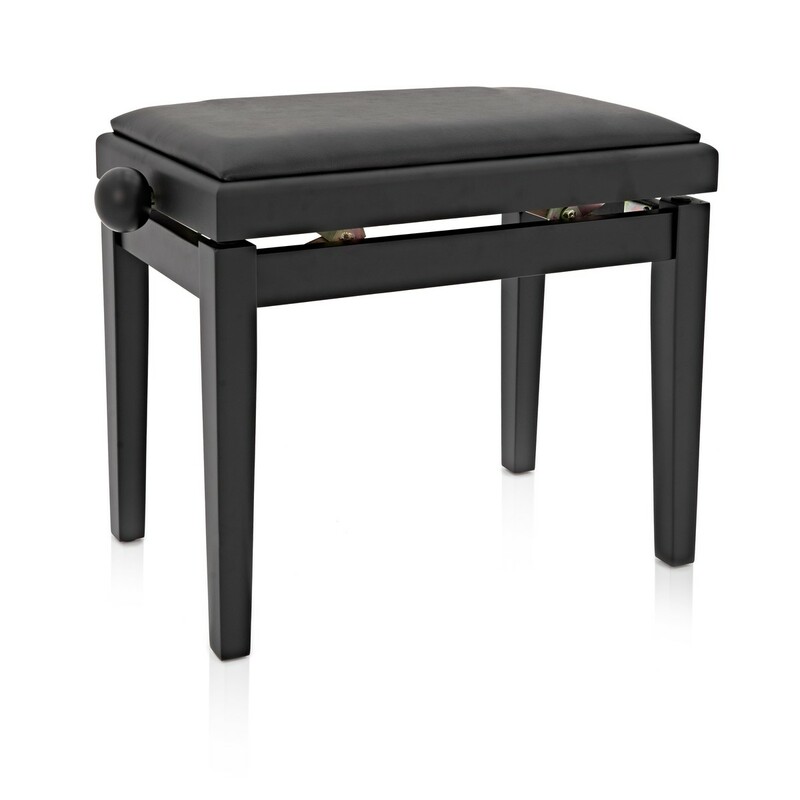 Finished in a stunning matte black, with a black leather look top, this stool will look great with any black piano. Supplied flat packed, this Gear4music piano stool is easily assembled within a few minutes. A sturdy, robust stool with an attractive matte black finish, it is especially suitable for use with matte black pianos. The adjustable height allows you to find the most comfortable position for your own play and can be especially useful for smaller or multiple users. The leather seat pad is firm, exactly what you need in order to play piano with the correct technique, yet comfortable. 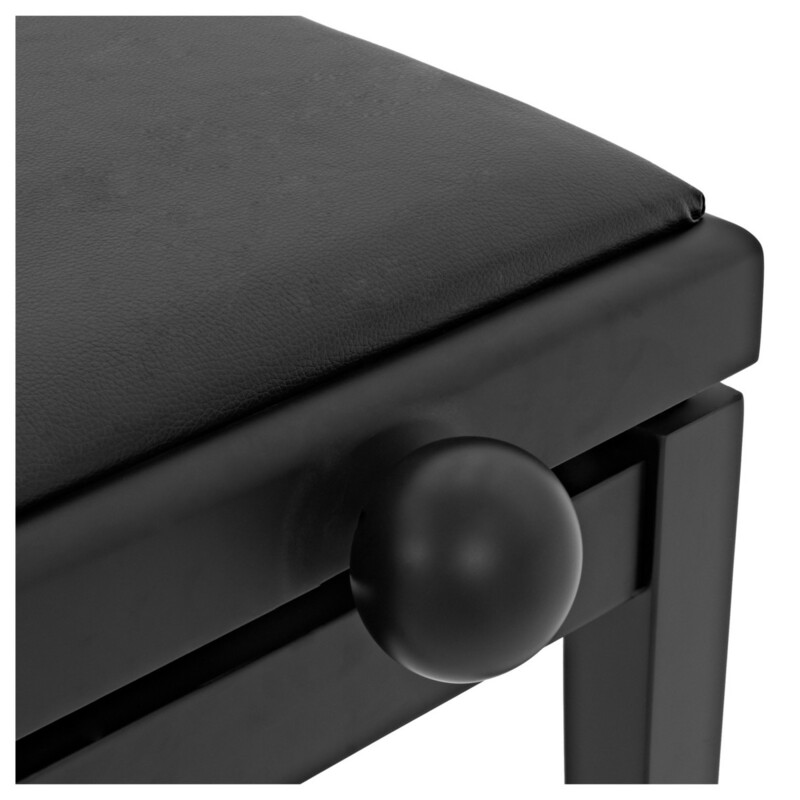 The gear4music adjustable piano stool is durable, well made yet inexpensive compared to most others on the market. 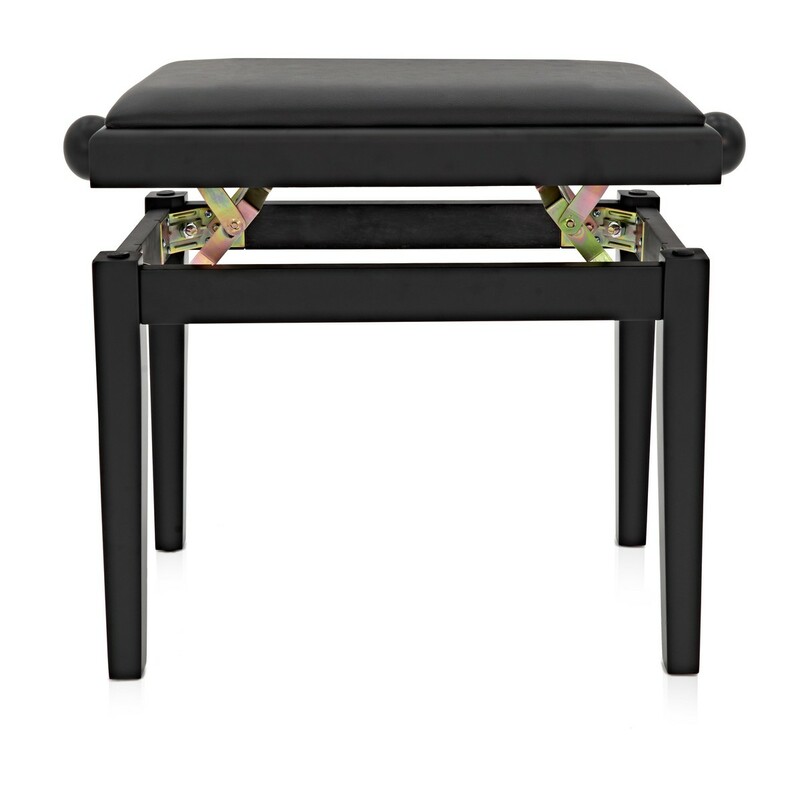 It's a good choice for anyone looking for a practical, user friendly and attractive piano stool.